Country guy I am a 22 year old guy who has seen a lot already in his life and is just looking for somebody who wants to share the fun with me. Somebody who wants a loving other half to make them a whole. Does pookie0537 belong in this group? Does spirits333 belong in this group? Does nrthrncowgirl belong in this group? Mainer till the day I die. Mainer till the day I die. 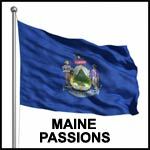 I been born and raise in Maine and I think I will be stuck here till the day I die. I feel safe where I am. I am looking for someone to help find me I light at the end of the tunnel. Does reidstah250 belong in this group?